You don’t have to be in Italy to enjoy authentic gelato. There are tons of little shops and super markets selling fresh, tasty, and always chilled gelato across Wisconsin. 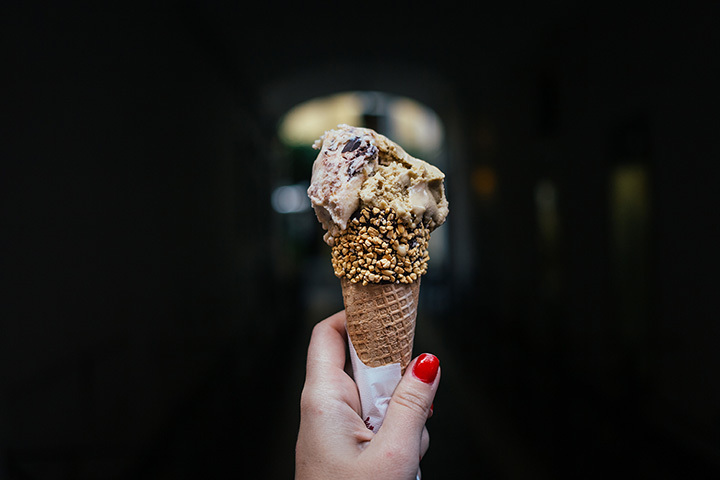 Grab a friend and enjoy our favorite gelato-serving spots in the state. Golosi uses only the finest ingredients of the highest quality to bring you the tastiest gelato. Classic flavors like espresso coffee, Irish coffee, hazelnut, vanilla cream, coconut, Nutella, dark chocolate and tons of savory fruit flavors. Try flavors upon flavors of Divino Gelato in Racine, Wisconsin. Thirty-six flavors of authentic Italian ice will put a huge smile on your face. After their unveiling in 2003 Divino Gelato has been warming the hearts of the Racine area. Joe Jo’s Pizza and Gelato located in Sister Bay makes all of their gelato with natural and fresh ingredients. Their two main flavors include fruit flavors and cream flavors. The smooth textured and chilly snack is the perfect dessert after gobbling down some pizza. Cold Spoons makes their tasty gelato onside and with fresh ingredients. Located minutes from the Lakefront in Milwaukee. Locally owned and operated, Cold Spoons brings life to the Milwaukee area with their small batches of gelato. Two generations of gelato makers bring your La Coppa Gelato Café. Their timeless gelato recipes originate from the Dolomite region of Italy. La Coppa doesn’t just serve gelato in a dish, their eccentric gelato desserts are something to go crazy over! Egg Harbor’s Double Delites offers gelato ice cream, gourmet popcorns, espresso bar, and more. Try the best snack that offers lower fat and can be made nondairy. Their flavors are imported from Italy. Try their famous sorbetto, fruit flavors for the official Double Delites experience. After their opening in 2000, Blue Spoon Café in Prairie Du Sac overs the perfect summer setting. There are three tiers of patio space overlooking the Wisconsin River. Their eccentric gelato flavors are perfect for enjoying in the summer time. Glorioso’s is a family owned business in Milwaukee, Wisconsin. The tradition started in 1946 and the Glorioso’s Market was born. They serve up fresh delicacies and of course, their famously fresh gelato. Try all the flavors served up at the historic Glorioso’s Italian Market. Villa Dolce in Middleton opened its doors in 2006 and has been a hit in the Madison area since. Their delicious foods and noteworthy gelato has put them on the map. Their house made gelato is a fan favorite for lovers of Italian ice cream. Enjoy casual dining and locally-brewed beer at the Millstone. Their handmade gelato is the perfect way to end your beautiful night. Try all of their unique gelato flavors. Summer is the perfect time to enjoy a little Italian dessert.